This is such an amazing idea—I’m sad that I hadn’t thought of it first. While at the From Abortion Rights to Social Justice Conference, I spoke with two awesome women who are trying to start abortion doula programs. What is an abortion doula? The idea is that a doula could provide support to women having abortions—very similar to the support that she would provide to a woman in labor. Women who have abortions in this country (all one million of them a year) many times do so in very unsupportive environments. They may not be able to tell their family members, either out of fear that they won’t be supportive or simply because they are afraid. They may not have a partner, or they may be making the decision to end the pregnancy alone. Abortion clinics are also under a lot of stress and pressure because there are so few of them, and so many women who need their services. So why shouldn’t doulas, who are trained to support women during birth, be able to provide the same support to women terminating their pregnancies? At the Abortion Speak Out that opened the conference, women who had had abortions shared their stories—and many of them talked about the women who held their hands during the procedures. Most of them didn’t even know this person’s name, but years later still remember how much their presence helped them get through experience. How many of you doula’s out there are with me on this one? Anybody in NYC want to try and start this (or know if it’s already happening?)? It would be pretty simple—get matched up with a woman who is going to have an abortion, and if there is time, meet with her beforehand to talk about how she is feeling and what kind of support she wants. Then go with her, talking to her through it, and holding her hand. Stay with her during the recovery, and then meet with her later to talk more and see how she is doing. Kind of the same model we use for birth doulas, a prenatal visit and a postpartum visit. I’m ready to do this now, let’s get it started. I had a friend suggest this a few months ago but am at a loss as to how to start it out! If you think of a way to do it nationally, I’m all for it. Its a wonderful idea. What a great idea! While I can’t help you in NYC, I will talk to people I know here in Columbus about this. I think this is an awesome idea! Thank you for sharing! I’ve thought about this for awhile – I would LOVE to do something like that. Especially since the new Supreme Court ruling, I’ve been thinking about volunteering at the clinic again – it would be awesome to offer support and compassion to women having abortions. A few years back, I worked as what could technically be called an ‘abortion doula’ for Planned Parenthood of the Columbia/Wilamette in Oregon until I moved away. PP established this position (which they call ‘patient advocate’) to do exactly what you have suggested: talk with women about their expectations, questions, feelings, needs; help her prepare for the procedure mentally and physically; be with her throughout in whatever capacity she needs (holding hands and space, breathing/relaxation, reassurance of her abilities); advocate for her in communication with the rest of the providers (very necessary, even in what one may expect to be an woman-friendly environment! ); and remain with her immediately after to process the process. Many abortion clinics probably have this non-medical-provider support available, with varying degrees of involvement and formality, but I think your idea takes it further and would be fantastic to get it played out in reality. 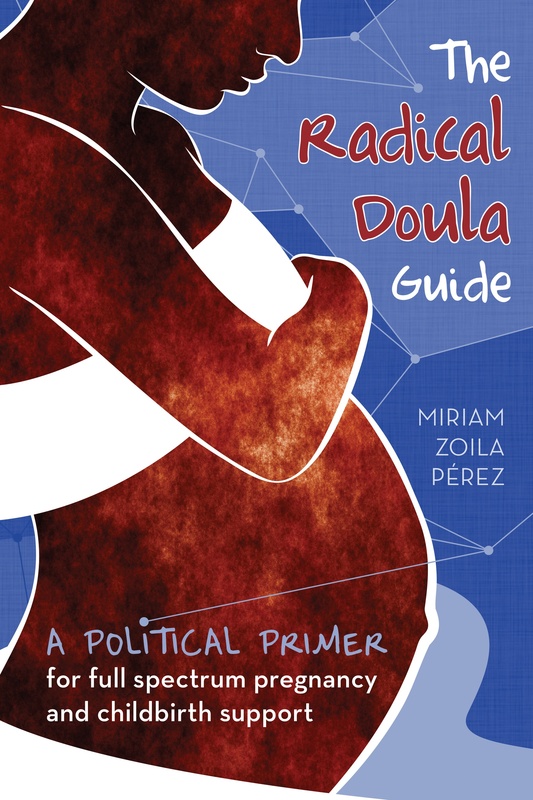 It seems like framing support in terms of doulahood can not only help practitioners to have more of a firm grounding in what their ‘job’ is, but also is intuitive: abortion as a realistic process in a woman’s sexual life, a process with the kind of potential to be normalized (instead of stigmatized) that doulas are great at bringing out when it comes to birth (and death, too…for all those death doulas out there). I also think this is a wonderful idea! And it raises an issue that I feel very strongly about… that is, the divide between the feminist/pro-choice movement and the freedom to express real emotions about the experience of having an abortion. When I had my abortion, I went through many difficult feelings. And many of them I still struggle with, even now, 5 years later. I also did not view the small mass of cells growing in my body as an “it,” but as a real potential human life that I would remember and love forever. I will always be pro-choice, but to a certain degree, I do not like the pressure (real or perceived) by the pro-choice movement to de-humanize conceptions as a way to justify the fight for the right to abortion. I know that I am not the only woman who has had an abortion who feels this way. I know of at least 3 other friends in my life who felt similarly, wrote long poems filled with words of love toward the unborn conception, cried many tears, and prayed or poured out energy into the universe with the hopes that the unborn conception would feel nothing but peacefulness in heaven knowning how much he/she was loved. I also know of several would-have-been fathers who went through the same emotions. I think that these stories are so important to tell! I know that it could be easy for the anti-abortion movement to co-opt their meaning, and twist them into evidence of how “wrong” abortion is. But as feminists, I believe it is part of the story of being a woman, and we should feel free to express it fully. Also, I hope it could be a way of re-directing the focus away from the moral judgment aspect of abortion, and whether it’s “right” or “wrong,” and toward the reality that women facing an unplanned pregnancy face: very little time to make a very big decision that will affect herself, a potential future person, and possibly a partner, other family members and friends forever… all this in a situation that may hold few immediate resources or support systems, and possibly even negative forces of fierce judgment or abandonment if she were to not have an abortion. I feel that an abortion can be a very traumatic experience, and that women who are PRO-CHOICE should feel free and comfortable expressing that and talking about it openly and honestly. Acknowledging the emotions that we feel does NOT weaken our position. I believe it only makes it stronger in showing that women make CONSCIOUS decisions about their lives, their bodies, and their potential future families. Hi, my name is Robin. do you have a moment? Okay great. I notice you going into this clinic, and I don’t want to make presumptions, are you looking for reproductive services? Okay, well, let me tell you what this place is. It is a Crisis Pregnancy Center run by pro-life organizations. It may be what you want, and it may not be. But let me tell you, if were looking for unbiased evidence based choices that you can make regarding pregnancy, including abortion, you won’t get it here. Instead, you will be exposed to lies(insert lies/half truths that CPCs usually provide) and they will do their best, if you even remotely considering aborition to coerce you out of it. Some CPCs across the country even go so far as to contact your friends and relatives to apply pressure to you. I can’t vouch that this one does this, but it is certainly a tactic. (The one near my house does this) Since I believe so strongly in choice, whether you carry your fetus to term or not is your choice, I wanted to give you this information. Here is the name and address of the local Planned Parenthood. This center will tell you lies and half-truths about PP, but let me tell you, PP is committed to reproductive health and providing unbiased evidence on all your options, including the option of carrying your fetus to term. Thanks for your time, and good luck. Shake hands as you ask if she would like evidence based research versus the lies and half truths CPCs tell their clients. Walk away so she can make her own decision. Why can’t we have our own sidewalk counselors outside CPCs too? And, I would so be an abortion doula. But then I would be a hospital-non-pregnancy related doula, and a death doula too. that should be information sheet on evidence on abortions versus the lies/half truths CPCs tell. I always like to ask before I give out handouts, some people want them some don’t. And like I said, I think it’s important to establish from the getgo that you are not there to stop her if getting information on carrying her fetus to term is what she wants. I love that we are having this discussion. I am currently working with a national pro-choice organisation called Canadians for Choice and am actively involved in ensuring abortion access for all women. Also, I am training to be a borth doula and have thought about the need for “abortion doulas” as well. A bunch of wonderful women in Asheville NC are starting The Open Umbrella Collective, and abortion doula volunteer program. I am currently applying myself. I look forward to learning as much as possible, and hopefully helping many women through the abortion process.